The Owner Of Cooco's Den Shares a Shocking Update On The Restaurant! 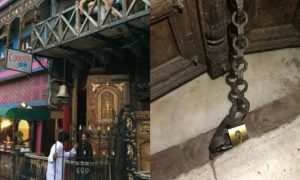 In a family feud gone bad, one of Lahore’s most visited restaurants, Cooco’s Den is currently caught in a controversy. With Lahore being full of life, the heart of foodies, Cooco’s Den is a spot people wish to rejoice and celebrate unions over the best food. 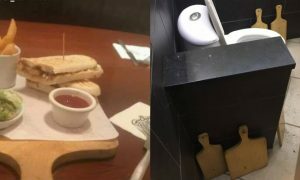 However, the owner of the restaurant recently advised the consumers to avoid visiting the restaurant by all means. “Dear Friends, Cooco’s Den and Cafe has been temporary closed since the spring 2018. After Court’s and Food Authority’s Closure Order, it is illegally possessed by my Nephews. And they are not taking any action towards our customers and we are loosing our clients and reputation. I am personally requesting you all to boycott Cooco’s Den and Cafe until my another Call. Please Spread my word as much as you can. If something unhealthy happens, I will not be able to take any responsibility. In addition to the ongoing family and legal drama, here’s what Iqbal Hussain recently updated regarding the entire controversy. I am the rightful and legal owner of Cooco’s Den and cafe, and i own its name. I am not giving its name to anyone in Karachi. I am not opening any other branch or selling its name to anyone in karachi or anywhere in Pakistan. My Nephews (#Abrar Hussain, #Israr Hussain, #Nazar Abbas) are planning some kind of fraud in Karachi by using my name with some other companies.They are trying to Sell Cooco’s Name. They have my Fake medical reports. I am perfectly fine. If someone in karachi or anywhere in pakistan, supporting them without my acknowledgement, they will face the legal consequences and i will drag them to the jail till the end. Please spread the word and help me to expose them. The family controversy is getting worse with the days passing. Let’s see how this clears out. 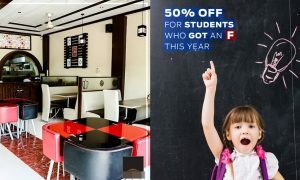 This Cafe in Lahore is Offering Discounts to Students Who Failed in University and It Needs to Stop!